I hope your not too disappointed, but I didn't have time to make my usual something sweet this week. 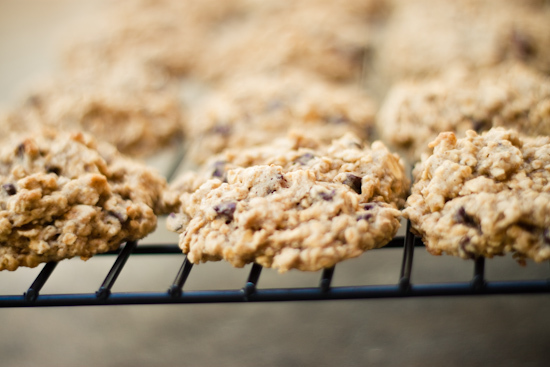 But, I do have a great low-fat oatmeal cookie recipe to share with you! I'm not usually big on baking anything low-fat. I would rather splurge on the extra calories and just "try" not to eat as large of a quantity. But, we took a road trip a few weeks ago and of course needed a few treats for the car ride. 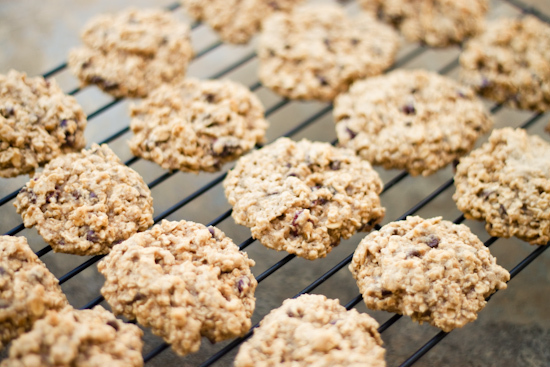 I thought these cookies from "Skinny Taste" would be perfect to bring along because they would satisfy our craving without making us feel sick or adding on too many extra calories. The recipe turned out really great! The cookie consistency is a little more fluffy and cake like and I added 1/3 cup of dried cranberries just for fun! To get the full recipe go HERE!